Gordon Ellis & Co is the undisputed market leader in raised toilet seats, bath seats, grab bars and a whole range of other items designed to benefit older or less able people. 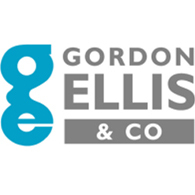 Click here to explore Gordon Ellis products on our Products page. You can also ask one of our reps for an in-service to learn more about Gordon Ellis and their products. You can also visit the Gordon Ellis website at www.gordonellishealthcare.co.uk.